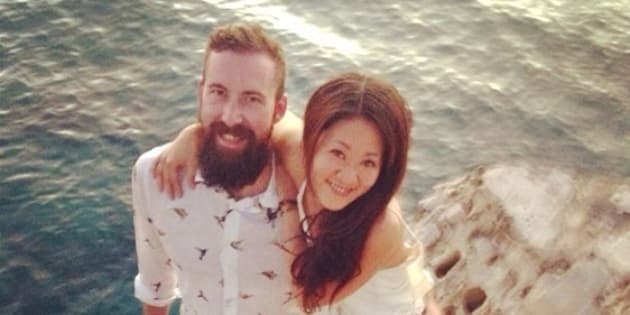 Peter Ingram and Lihsuan Law had been married for all of a week when tragedy struck, right in the middle of their dream honeymoon. After their wedding earlier this month, the Calgary couple jetted off to Colombia to celebrate together, but things quickly took a turn for the worse: seven days into the vacation, Law suffered a severe brain hemorrhage. She hasn't woken up since. Her family hopes to bring her back to Canada to receive treatment, but the costs are crippling: the price of an emergency medevac will cost close to $100,000, and none of it is covered by insurance. The couple’s loved ones have started an online fundraising campaign, setting a goal of $164,000 to ease the burden. UPDATE: The goal, which was lowered to $102,000, has been surpassed with over one month to go. The page explains that while her condition has improved with treatment, Law is still critically ill and desperately needs to come home. So far, the page has raised nearly $90,000.